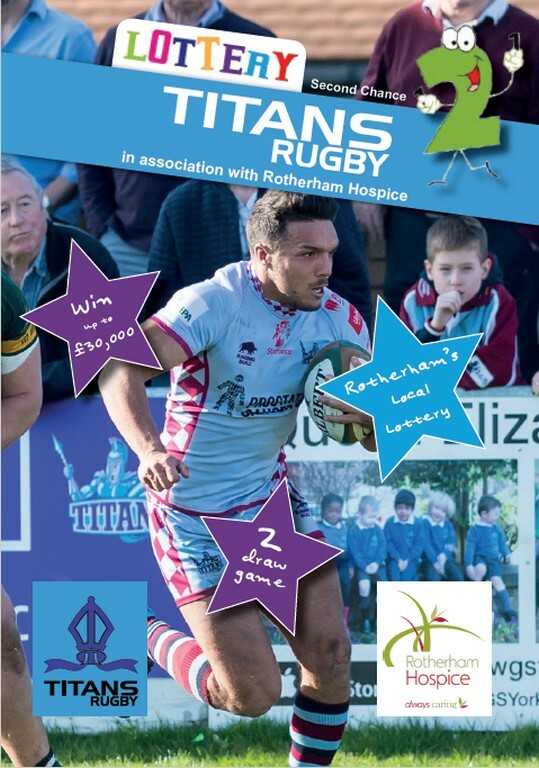 You can win up to £30,000 with Titans Rugby Lottery, which is run in association with the Rotherham Hospice. Our lottery is a membership lottery costing £2 per number per week. When you join you are allocated a unique lottery number which will then be entered into our Friday draws each week that your number is in credit. If your number should go out of credit it just won’t go into the draw that week. This means that you will never owe any Money; we’ll just send you a reminder so that you can start playing again as soon as possible. Each Friday your Lottery number is entered into our 2 prize draws. FIRST CHANCE- Game 1 has a Guaranteed 1st prize of £1000; 1 x £100, 2 x £50 and 30 x £10 prizes which are won every week. Our 2nd prize of £500 is a rollover prize which if not won can reach a maximum jackpot of £10,000. SECOND CHANCE- Game 2 has 1 x £1,000 prize which is bonus rollover and if not won can reach a massive maximum jackpot of £20,000. To become a lottery member please print off the PDF LOTTERY LEAFLET below and complete the form on the back of the attached leaflet and pay by standing order. You can pay monthly or every 13 weeks, 26 weeks or 52 weeks to suit you. We must receive a completed form declaring that you are over 16 years of age before we can process your application. You will receive a welcome letter in the post informing you of your unique lottery number and you will be entered in the first draw after receipt of payment. SOME SAY IT’S BETTER TO GIVE THAN TO RECEIVE. WE SAY YOU CAN DO BOTH. YOU PLAY – WE CAN BOTH WIN!